You can also connect with a commercial security partner to help improve the atmosphere inside your building. Keeping your commercial building safe and secure doesn’t only have to be your responsibility. When it comes to making sure that your business is a safe place to work, you can lean on your employees to help. However, you can also connect with a commercial security partner to help improve the atmosphere inside your building. Here are some questions you need to ask when you are looking for a new provider. Experience makes a difference in almost any industry. 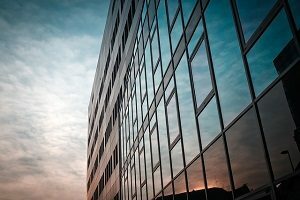 In the commercial security industry, choosing the most experienced partners and providers can ensure that your building’s protection will be unparalleled. You also need to make sure that they are properly licensed, insured, and certified to do what they do. The next question you need to ask your commercial security provider has to do with the type of equipment they issue to their technicians. You’ll want to be able to trust your new partner, and you’ll feel much better knowing they use top of the line tools, equipment, and know how to service and install the leading brands of security and life safety technology. Do You Provide Around the Clock Support? Intruders don’t restrict their activities to business hours. You need to make sure someone is there to prevent intrusion and mischief after hours and over the weekend. That’s precisely why you need to ask about around the clock support. Do You Understand NFPA Standards? Although Fire Prevention Week has already come and gone for this year – it was last week, from October 7th to the 13th – that doesn’t mean you can’t still focus on fire prevention and fire protection for your company. You need to ask your new security provider if their technicians understand and adhere to the standards and codes defined by the National Fire Protection Association, or NFPA. Fire is one of the catastrophic events that can affect your building and the safety of your employees. Your security systems can also be disabled or destroyed by fire damage, so it’s important to make sure that your commercial security provider can give you solutions when it comes to fire protection. This becomes even more important when you are planning to link your security systems with life safety systems such as smoke alarms or fire alarms. This entry was posted on Tuesday, October 16th, 2018 at 9:30 am. Both comments and pings are currently closed.